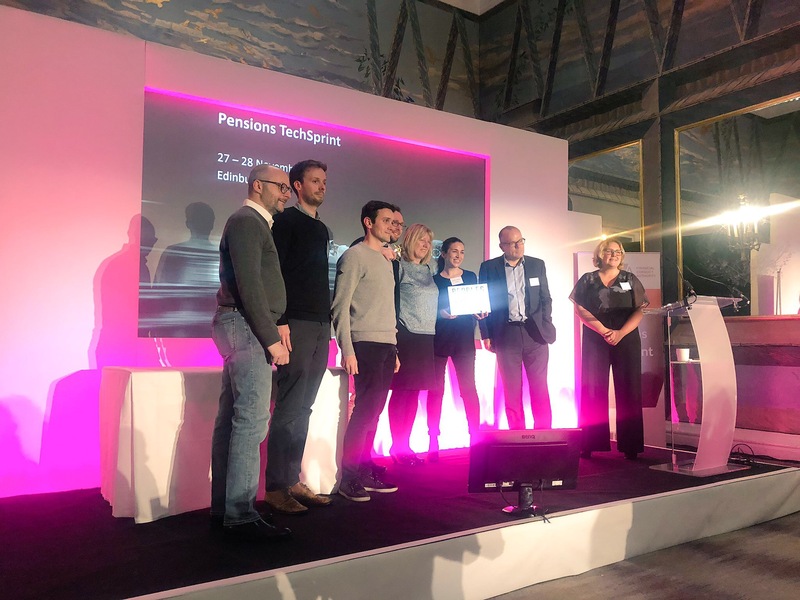 Yesterday I had the privilege of flying to Edinburgh to take part in the UK Financial Conduct Authority’s Pension Tech sprint event. The day was aimed at bringing together creative minds from inside and outside the pension industry in the UK, to try and tackle some of the biggest problems. I’ve spent a week in London, and it’s been a good chance to get my head around where the local pension industry is right now, and the current dynamics. It’s especially interesting when comparing to where Australia is in its journey, and how the two can possibly learn or guide each other. While there is no doubt Australia is more advanced on a number of structural areas – both on the technology and regulatory front – the attitude and embracing of innovation in the UK, as witnessed at the FCA event was certainly unique and encouraging. Prior to the trip I was fortunate to be the benefit of a private research report into the local pension sector. Below are some of the highlights that are worth being across, should you be seriously interested in this space. Of those that have, 20% only do it once a year. Surprisingly, or perhaps not so surprisingly, if you think about the increasing importance of a pension as a source of stable wealth creation for younger people, Generation Z employees that were surveyed, the youngest respondents, were more likely to check their pension online than any other group. Only 3% of this group believe they are saving enough into their pension. Auto-enrolment is great – and we know default systems can work – but many of the younger people I spoke to complained about having to enrol in a fund each time they changed jobs. We know multiple accounts are a significant cause of balance erosion. Not linking the plan to the person, but to the employer will create problems, especially for younger workers. For me this is a huge red flag. One young man I chatted to said one pension fund forced him to withdraw his money, because he had been with the plan less than two years. He of course could have somehow found a way to add it to a new plan, but once money is out of the pension system and in our hands, the temptation to spend today is significant. Money inside a pension fund should not typically be accessibly until retirement age. The pensions dashboard, which promises a view of all your accounts, online, could be a game changer, but only if every pension fund reports into it. At this point in time, from the discussions I had, it doesn’t appear there is a standardised reporting format or an onus on providers to comply. I could be wrong though. In Australia, the ATO Supermatch and Supertick service that provides this see-through and visibility for super fund members has been a big driver in engagement and consolidation. Needless to say, there is significant opportunity for innovation in the UK around pensions, and they have a chance to possibly leapfrog or learn from the mistakes other more advanced pension markets, like Australia, have made. I certainly have some strategic thoughts about where the most significant opportunities lie, and it will be interesting to watch this market from down under over the next 12 months!